If you’ve been paying attention to the popularity of SUVs lately, you are probably well aware that the midsize category is considered the best compromise between small and large SUVs. That’s because midsize SUVs (and crossovers) provide greater flexibility for passenger and cargo capacity than small SUVs but considerably better fuel economy than large SUVs. There are other considerations as well, of course, but when it comes to the SUVs that are right at the top, here are the top 5 midsize SUVs consumers love – and will buy again, according to the Consumer Reports annual owner satisfaction study. 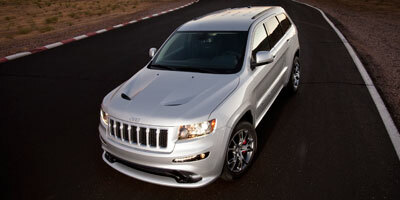 V-8 power, is the highest-rated midsize SUV that consumers profess to want to buy all over again. Redesigned in 2011, the Jeep Grand Cherokee feels better now on the road than ever before, but it’s still rugged and tough off-road. The optional 360-horsepower HEMI V8 gets high marks, and it’s available with air suspension and advanced AWD systems equal to the Mercedes-Benz M-Class. Step up to the Grand Cherokee SRT8, starting at $60,000, and there’s no stopping the agile SUV: 470 horsepower HEMI V8. Jeep Grand Cherokee (V6) – 79 percent – Boasting Chrysler’s first new V6 engine in a decade, the base powerplant in the 2013 Jeep Grand Cherokee is a fully-capable 290-horsepower 3.6-liter V6, mated to a rather dated five-speed automatic transmission. The V6-powered 2013 Jeep Grand Cherokee is available in Laredo, Laredo Altitude and Trailhawk, Limited, Overland and Overland Summit, in front-wheel drive and four-wheel drive, priced from $27,695 to $43,995. family vehicle, not a luxury SUV, nor the fastest ‘ute on the road. 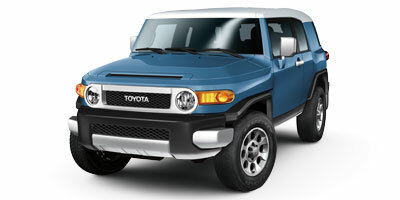 But it does carve out a unique niche for ardent buyers who love what the Toyota FJ Cruiser is all about. A single 260-horsepower 4.0-liter V6 engine, mated with either five-speed manual or six-speed automatic transmission powers the 2013 Toyota FJ Cruiser lineup, and it’s more than enough to get the job done. Serious off-roaders can maximize the FJ Cruiser’s all-terrain potential with various packages. Starting prices range from $26,880 to $28,470. the only real discernible difference between the gasoline-powered Highlanders and the hybrid come different fog lamps and some chrome and blue plastic trim in certain places. Easy to climb in seats, good ride height, plenty of interior storage and, with the rear seats flipped forward, up to 94.1 cubic feet of cargo capacity. Powered by a 3.5-liter V6 engine, the Highlander Hybrid makes a total of 280 horsepower and gets EPA-rated fuel economy of 28 mpg city/28 mpg highway. 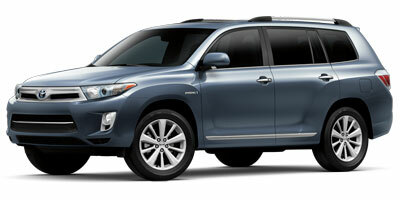 Toyota Highlander (V6) – 73 percent – For around $30,000, consumers have found a lot to like about the Toyota Highlander midsize SUV. With space for up to seven passengers, strong V6 power and plenty of standard features, good storage and cargo capacity, the 2013 Toyota Highlander can be considered a real bargain. No, it’s not the flashiest crossover on the road today, but it doesn’t need to be to get the job done comfortably, safely and economically. Owners seem to think so, too.